From 10am – 11am on Saturday 1st September and Sunday 2nd September, visitors can browse the full range of exhibits within a quiet environment. This means there will be no background music or loudspeaker announcements and noise levels will be minimised as much as possible. There will also be a reduced number of people on-site which will help to enhance the quiet environment and the marquees used for the STEM exhibition are all fully wheelchair accessible. The STEM Village, sponsored by MJM, is bigger than ever featuring over 20 exhibitors. Located in East Strand car park, it provides a bespoke space for employers and education providers to showcase facilities, projects and skills in an engaging and interactive way. The line-up, including the Royal Aeronautical Society, Bombardier, Sentinus and Survitec, promises visitors an inspiring and interactive experience. 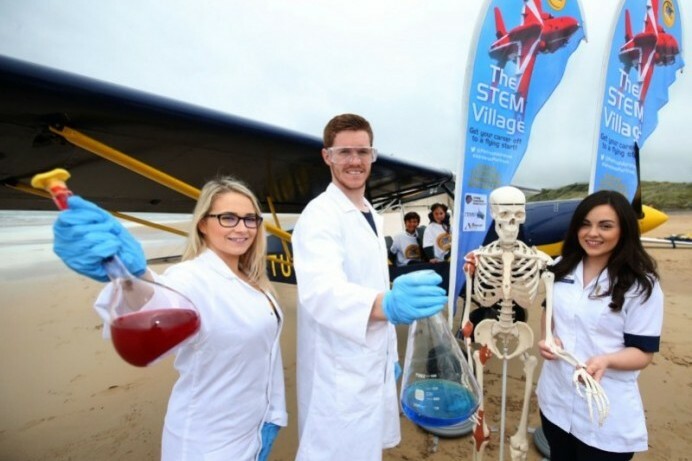 Since its successful introduction at Air Waves Portrush in 2016, the STEM Village has doubled in size and is now a highlight of the ground attractions across the weekend. Keep up to date with the latest information about The Stem Village by following us on Facebook and Twitter. 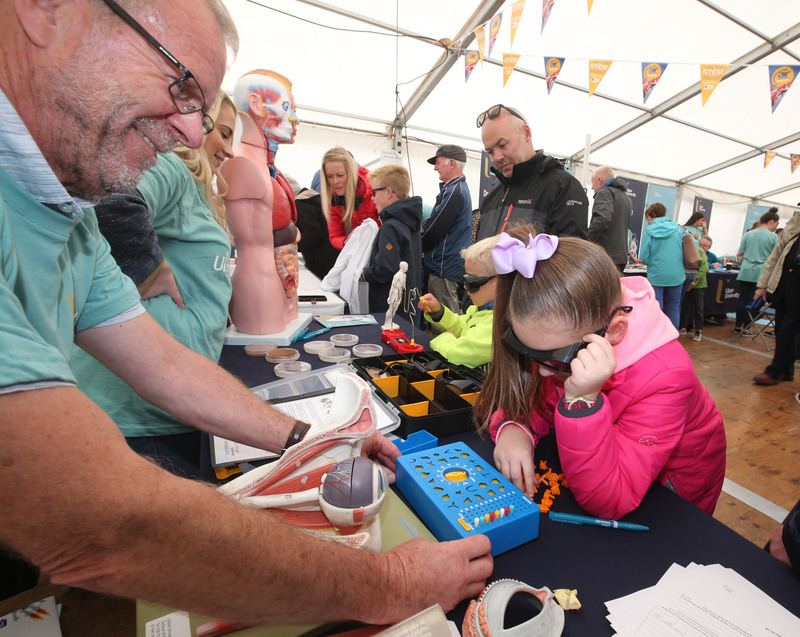 The STEM Village at Air Waves Portrush provides exciting opportunities for young people to enjoy a range of interactive and engaging activities. The event, organised by Causeway Coast and Glens Borough Council will have a quiet hour for individuals with special needs between 10am and 11am on Saturday 1st and Sunday 2nd September.